Is your system showing UNEXPECTED_STORE_EXCEPTION error message? Are you unable to play any game or run any apps due to UNEXPECTED_STORE_EXCEPTION error message? 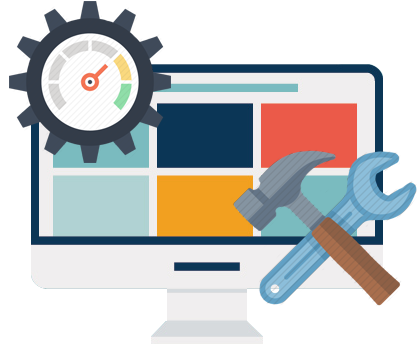 If your answer is YES then you are at the right place, as in this blog you will learn about how to fix UNEXPECTED_STORE_EXCEPTION error message with ease. Unexpected Store Exception error message over Dell, Asus, HP, Toshiba, Lenovo systems. Infected or damaged system files. Damaged hard disk or HDD with Bad sectors. Fast startup is also listed under the causes section and many users reported that after disabling this they have fixed the error. 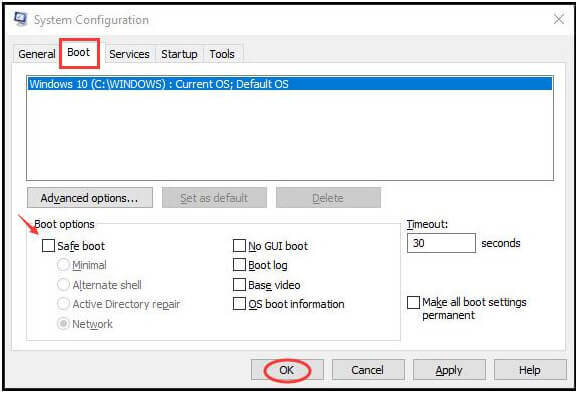 1: If you are able to boot your Windows 10 system normally then go to the second step. OR if the system is not able to boot normally then you need to boot your system into Safe Mode first and then go to the second step. 2: Now, Search for the control panel with the help of search box. 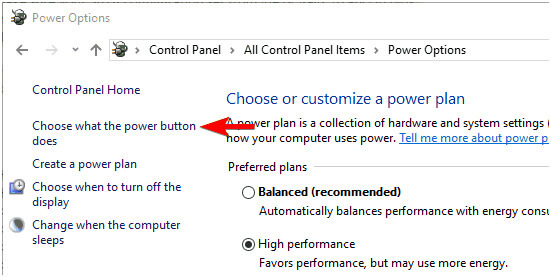 3: After opening Control Panel, choose Power Options. 4: Navigate to the Choose what the power button does. 5: Click on Change settings that are currently unavailable. 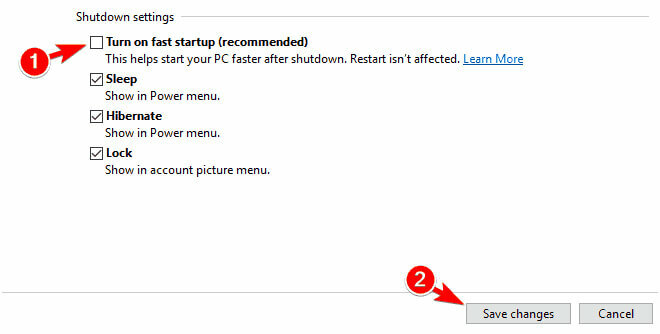 6: Uncheck Turn on fast startup (recommended)and click on Save changes. 1: Open the run dialogue box by pressing Windows key and R key simultaneously. 2: In the run dialogue box, type msconfig and press Enter. This will open up the System Configuration window. 3: Select to view in Services pane. 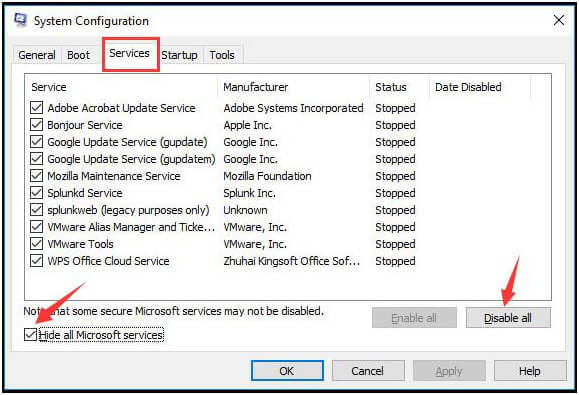 Click Hide all Microsoft services > Disable all. 4: Go to the Startup pane. And click on the Open Task Manager option. 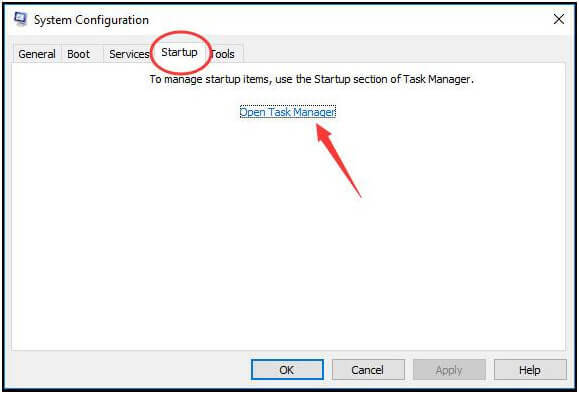 5: On the Task Manager window, tap on Startup pane. 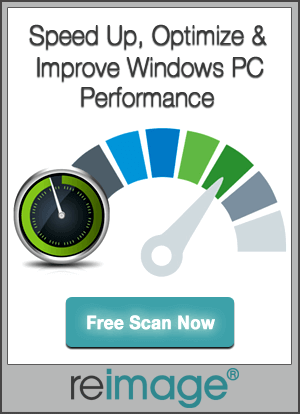 After it, highlight the unnecessary services except for Windows safe services and click Disable. 6: Now, close the Task Manager Window and back on Services Configuration window, tap on Boot pane. After it uncheck Safe boot and clicks OK.
7: Click Restart if prompted by System Configuration. And check that computer can boot to Windows 10 normally or not. As once a single system file gets infected or corrupted then from that time you will start facing several types of error message and inconveniences. 1: Open the command prompt with admin privilege. Press Windows and X key to open the quick-access menu. 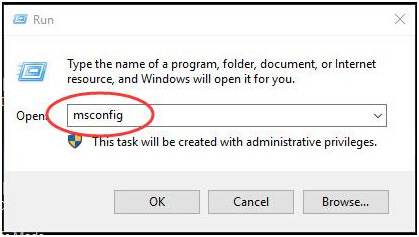 Right-click on the Command Prompt (Admin) to run it as administrator. 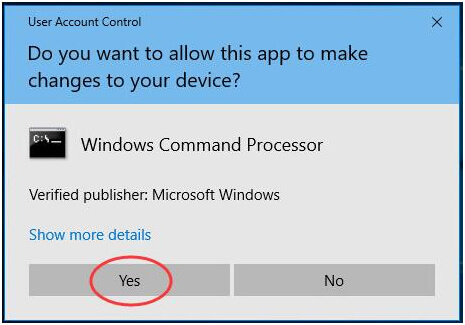 2: Now, click on the Yes if any UAC box appears. 3: After it, type sfc /scannow in command prompt as shown in the image and hit Enter to run it. Now, you need to wait for the completion of this command. 4: Once the command execution gets completed then reboot your Windows 10. An outdated system driver can generate this type of error message, that’s why it is recommended to always make sure that the Windows drivers are updated and error-free. You can do this task via two methods, first is automatic and the second one is the manual method. The automatic solution is simple to apply and very effective, if you are new to Windows system or not able to apply the manual solutions then go with the automatic Driver Updater Tool (Download Link). 1: Open the Quick access menu by pressing Windows key and X key. 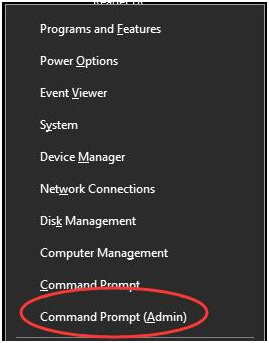 From the menu select or click on Device Manager. 2: Now, after opening the Device Manager window you need to expand every dialog and check if there’s any device along with yellow exclamation mark. If you found anyone then you need to update those drivers. 3: Right-click on the yellow mark device. 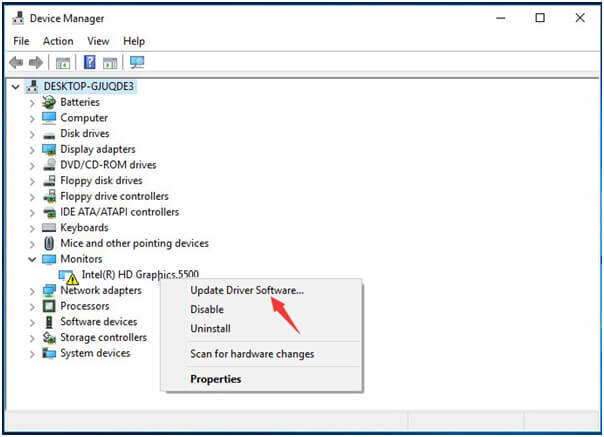 4: Click Search automatically for updated driver software. 5: Windows will automatically detect the update for your system. Simply follow the on-screen instructions and install the update. In the causes section, we have discussed that HDD’s Bad sectors can also generate this error message. So it is important to run a check the HDD for any bad sectors. Go with the built-in Disk Check tool and fix the Unexpected_Store_Exception error. Note: In the above command C is the system drive or the drive that contains the operating system. If your system stores the OS in any other drive then replace C with the corresponding drive letter. 1: Go to the control panel by pressing Win + X keys. 2: Now, select “Programs” in the control panel. 3: From the installed program list, find the third-party security software. Right-click on it and select uninstall. 1: Click on the Startup Menu and run Store. And then Click on the user icon. 2: Click or tap “Settings” in the resultant menu. 3: Toggle “Update apps automatically”. 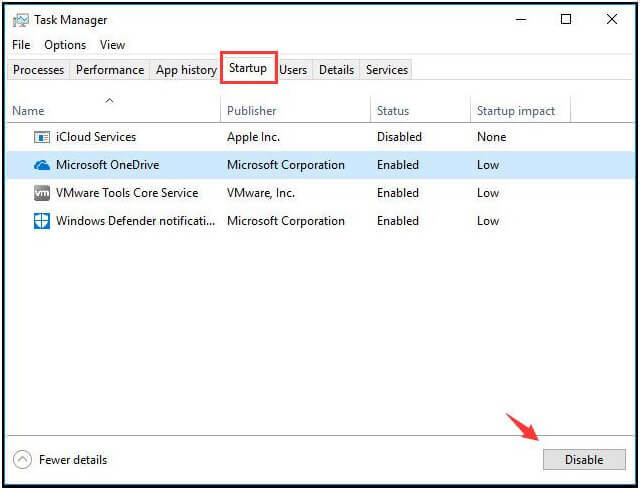 1: Click on the Startup Menu and run Store, then Click or tap user icon. 3: Click or tap on “Check for updates”. In order to repair Windows 10 operating system you need Windows 10 Installation Media, if you are unable to fix the UNEXPECTED_STORE_EXCEPTION error message after applying the above given tricks and fixes then it is recommended to go with this fix and repair your system’s OS. 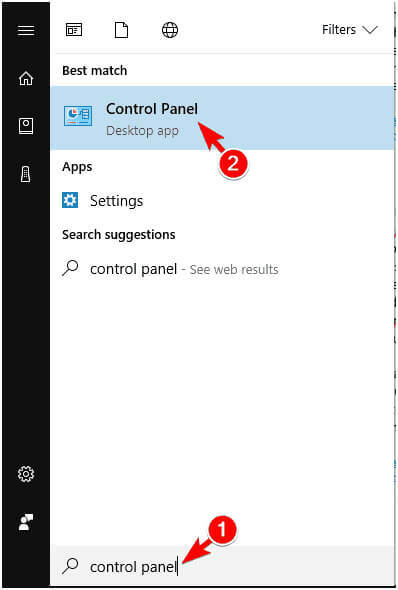 This solution is suggested when the error occurs while running a Microsoft-related app. 1: Press Windows + Q keys and click on the “Settings”. 4: Select an earlier date when your computer worked without any errors. 5: This will shut down your system and after it, the process will start. All the above-discussed fixes are tested over the different systems suffering from UNEXPECTED_STORE_EXCEPTION error. As there are various causes that can trigger this error message, so it is difficult to find the exact cause and deal them. Hence, it is recommended to go through all the above-given solutions one by one and make your system error free. After fixing UNEXPECTED_STORE_EXCEPTION error it is recommended to scan your PC with a professional PC ERROR SCANNER and get rid of any other internal errors automatically. Want to fix 9 Tested Solutions to Fix UNEXPECTED_STORE_EXCEPTION Error on Windows 10, simply follow the given 9 solutions.